Amplifiers may be coax line powered from either their RF input or RF output connectors. Amplifiers may be externally powered via their power input connector. 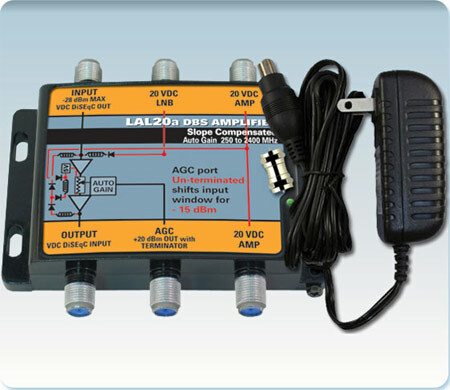 Model LAL204a-T, LAL204a-T and LAL205a-T include an external power supply.